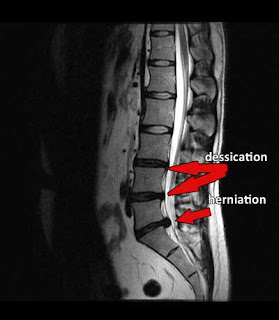 Since the article was published in bottom line secrets about how spinal decompression can be a cure for some with chronic low back pain and disc herniation I have received tons of emails from patients requesting that I review their MRI's and help them understand if they are a candidate for Non Surgical spinal decompression. I prefer to have the actual MRI films and have the patient present in the office to conduct a physical exam. If a MRI report is the only available piece of information it is a start. I have been doing spinal decompression close to 3 1/2 years in my Manhattan Chiropractic practice. I have been impressed with the post MRI changes that I see, I have seen some patients with a 50% increase in their disc height and complete reduction in symptoms and they have not had any relapses for 3 plus years!